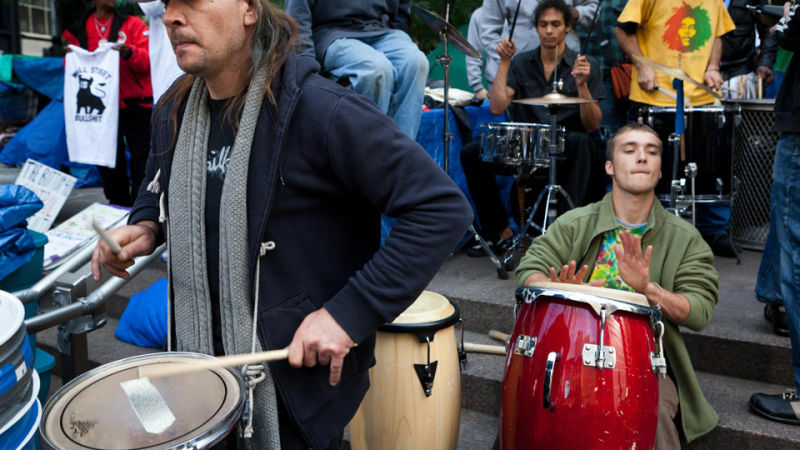 Is the Drum Circle About to Kill Occupy Wall Street? Anyone who's been to Zuccotti Park in downtown Manhattan to check out the Occupy Wall Street encampment leaves thinking one thing: Jesus Christ those drummers are annoying. And now, those drummers—whose constant, irritating presence has earned the wrath of the local community board, as well as most of the occupiers—may bring down the movement itself. Such is the claim of a letter sent to literary magazine n+1, which is putting together an issue devoted to Occupy Wall Street. According to the letter-writer, "[a] trusted friend and respected activist,"
mediation with the drummers has been called off. [That is the saddest sentence that has ever been written — Ed.] It has gone on for more than 2 weeks and it has reached a dead end. The drummers formed a working group called Pulse and agreed to 2 hrs/day at times during the mediation, and more recently that changed to 4 hrs/day. It's my feeling that we may have a fighting chance with the community board if we could indeed limit drumming and loud instrumentation to 12-2 PM and 4-6 PM, however that isn't what's happening. Last night the drumming was near continuous until 10:30 PM at night. Today it began again at 11 AM. The drummers are fighting among themselves, there is no cohesive group. [No, wait, that one is — Ed.] There is one assemblage called Pulse that organized most of the drummers into a group and went to GA for formal recognition and with a proposal. Tomorrow night is the community board meeting, they are logging when they hear drumming and keeping a record. If we can show that we've made progress in implementing the Good Neighbor Policy that limits drumming then they won't call for our eviction (they in fact have been bending over backwards to support and defend us). If we can't get support here tonight at 6pm, or tomorrow, then we are facing an eviction vote at tomorrow's meeting, in front of all the cameras, and we lose the electeds and allies who've gone to bat for us. 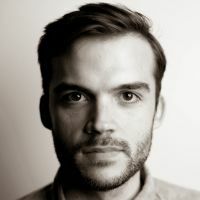 Unfortunately there is one individual who is NOT a drummer but who claims to speak for the drummers who has been a deeply disruptive force, attacking the drumming rep during the GA and derailing his proposal, and disrupting the community board meeting, as well as the OWS community relations meeting. She has also created strife and divisions within the POC caucus, calling many members who are not ‘on her side' "Uncle Tom", "the 1%", "Barbie" "not Palestinian enough" "Wall Street politicians" "not black enough" "sell-outs", etc. People have been documenting her disruptions, and her campaign of misinformation, and instigations. She also has a documented history online of defamatory, divisive and disruptive behavior within the LGBT (esp. transgender) communities. Her disruptions have made it hard to have constructive conversations and productive resolutions to conflicts in a variety of forums in the past several days. Now, to be fair, losing the support of the local community board doesn't guarantee that the occupation would be evicted immediately—it just makes that eviction a lot more likely. And, let's be honest, we'd all probably feel even more warmly toward Occupy Wall Street if there was no drum circle. The letter encourages people in New York to show up tomorrow and help patrol and explain the rules to drummers. Good luck, guys!